miketee10021 (8 months ago) Inappropriate? EstrellaMare (2 years ago) Inappropriate? Thank you, Herminio! Loving your work! Orbital Sound (4 years ago) Inappropriate? Thank you. 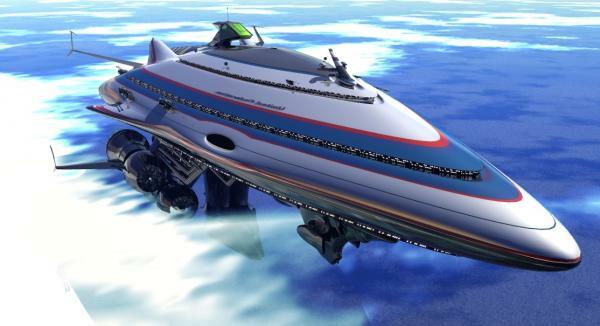 This will look great in a sci fi ocean setting as well as in space. Much appreciated. AkaneKage (5 years ago) Inappropriate? This is absolutely beautiful. It reminds me of a lot of older, airbrushed sci-fi art I used to see on book covers and in magazines. ZzzNet (5 years ago) Inappropriate? This looks so good I wish I had a few billion to make a bunch of them to fly around our solar system. quatermass (5 years ago) Inappropriate? KristinF (5 years ago) Inappropriate? Very cool and something I have been looking for! Dibujantte (5 years ago) Inappropriate?